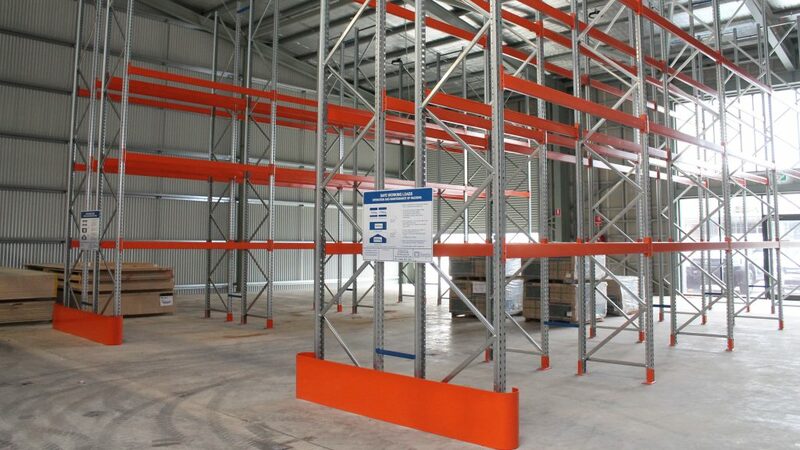 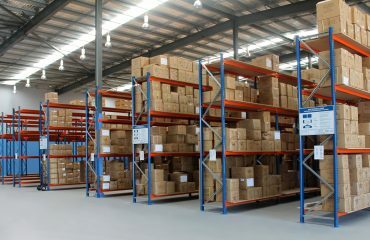 This project involved the Design, Supply, Delivery & Installation of Twenty-eight (28) bays Schaefer I600 Pallet Racking – two runs of 6 bays, two runs of 4 back-to-back bays. 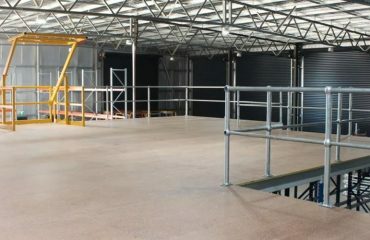 All bays are 2600mm x 6050mm high x 838mm deep with 3 adjustable beam levels per bay. 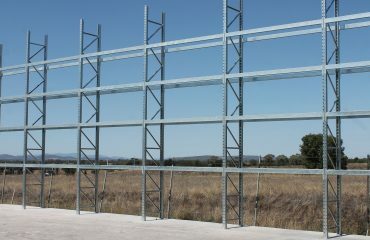 Beams are 2600mm with load capacity of 1500kg per pallet. 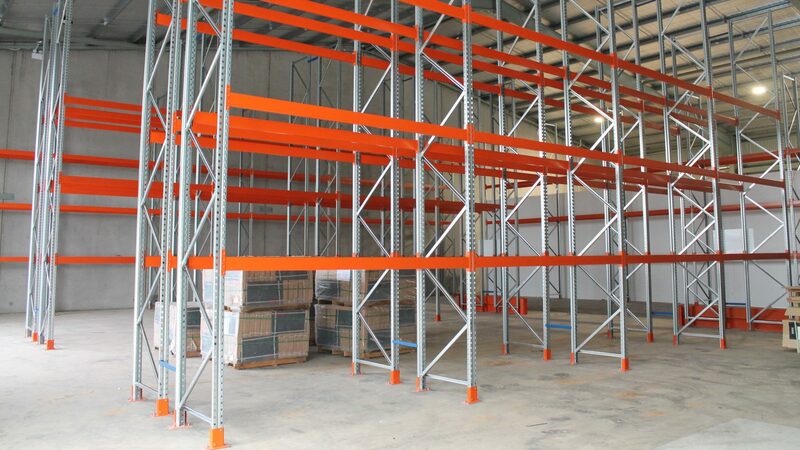 Upright frames are galvanised, beams are orange. 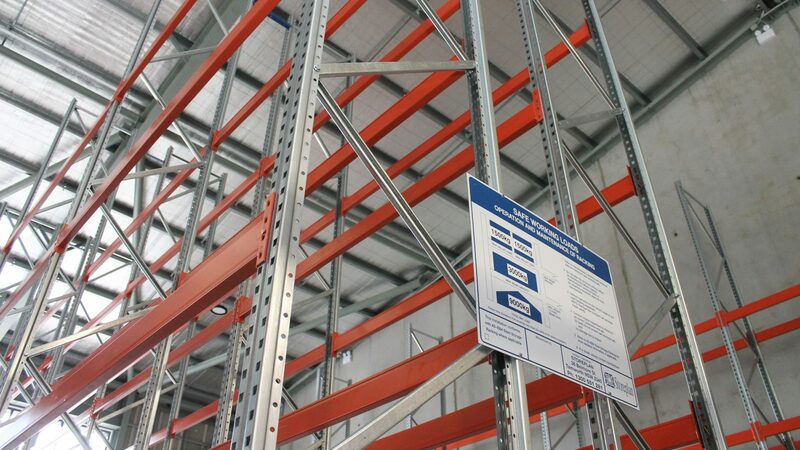 SWL Safe Working Load signs included to comply with current standard AS4084-2012.